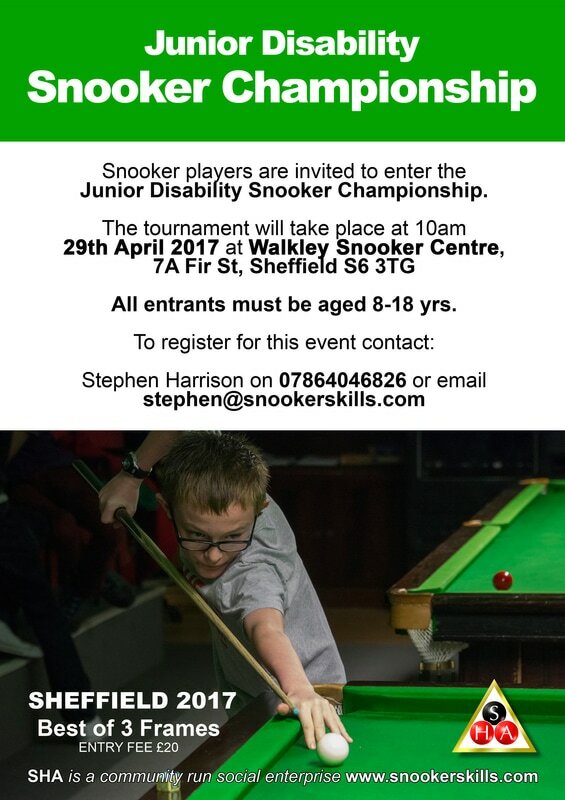 Snooker players are invited to enter The Junior Disability Snooker Championship 2017. The tournament will take place at 10am on 29th April 2017 at Walkley Snooker Centre in Sheffield. Entry fee is £20 per player. 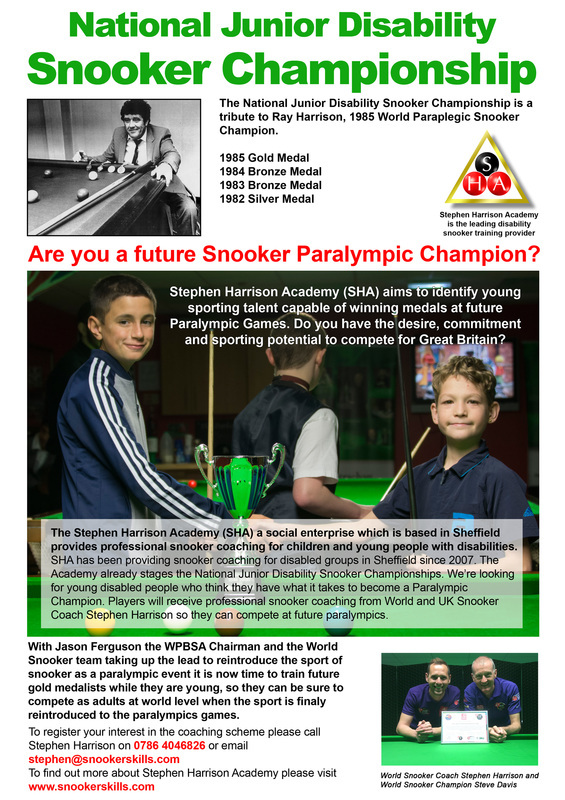 Please make cheques payable to Stephen Harrison Academy and send to Stephen Harrison Academy, The Innovation Centre, 217 Portobello, Sheffield S1 4DP. All money raised goes to supporting grassroots disability snooker. 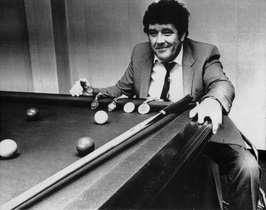 The Junior Disability Snooker Championship is a tribute to Ray Harrison, 1985 World Paraplegic Snooker Champion.